College Students Landscaping Inc. has been serving the South West Suburbs of Chicago for the past 15 years. The company started when a group of college friends got together to try to make some extra money during their summer break back in 1992. 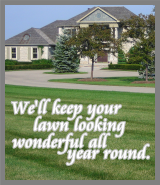 Since then we have grown to a fully functional landscaping company serving hundreds of customers each year. With our system, you can tailor a program that fits your individual needs instead of the “cookie cutter” programs that make you pay for services you do not need. We are a reliable source to keep your lawn cut or other services such as core aeration, power raking, or bush trimming. You can count on us. We also offer full service landscape maintenance programs. College Student’s Landscape and Design isn’t merely products, services and customers. It’s for our employees that can proudly call CSL home and built a substantial amount of discipline and integrity. CSL’s constant quest for bringing beauty, color, and style to residential properties build’s unforgettable first and last impressions. We here at CSL truly believe in the commitment to integrity and quality that goes into our work. It’s that magical creative work and our customer’s lasting smile that makes the college student’s job well worth it. Want that satisfaction, then call CSL. College Students Landscaping offers free estimates upon request. The fastest way to receive your estimate is via phone or though our Request A Quote form. Please fill in of the information we request on our form so we can better assist you. After completion of the form, we will be in touch with you as soon as possible.